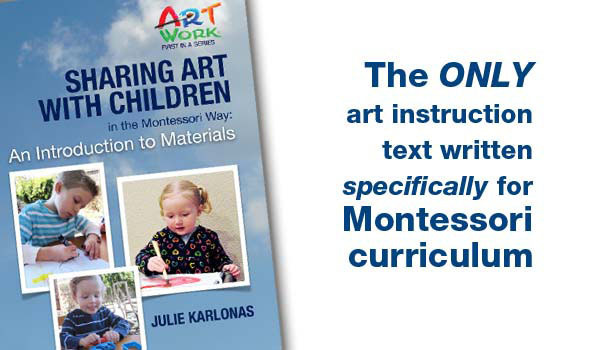 Art Work is a company committed to the development of Fine Arts curricula specifically designed for the Montessori classroom. Montessori teachers have the profound responsibility to see to it that the artistic spirits of their students are protected, nurtured, and provided with art opportunities that are meaningful and developmentally appropriate. 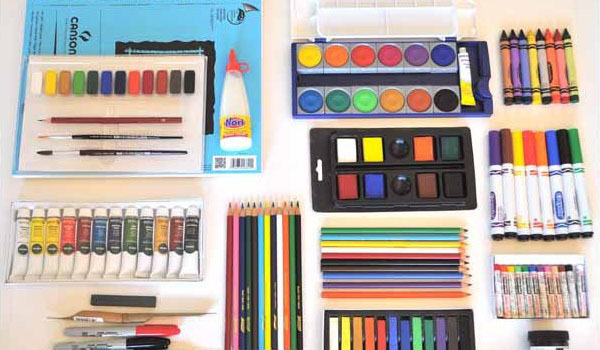 Sharing Art With Children in the Montessori Way is a philosophy, a method, and a curriculum. The philosophy is based on my six principles of sharing art with children. 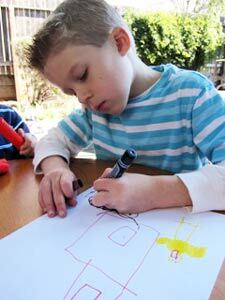 The method is based on the Montessori methodology of preparing the adult, preparing the environment, and providing developmentally appropriate creative opportunities with freedom and responsibility. The curriculum, built on the philosophy and Montessori methodology, comprises four suites of curricular materials: Toddler (ages 1-3), Early Childhood Education (ages 3-6), Lower Elementary (ages 6-9), and Upper Elementary (ages 9-12). 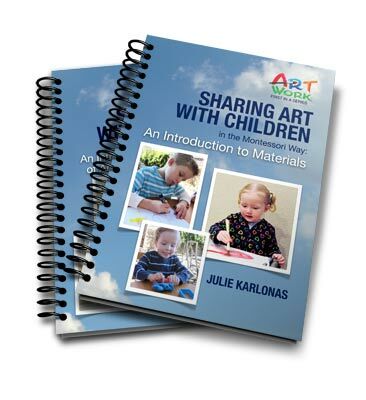 Each suite features a teaching manual, language of art material, and visual art material. Nurture, honor, and guard the precious artistic spirit of each child. Treat each child with respect as an individual and as an artist. Create meaningful and developmentally appropriate art experiences. 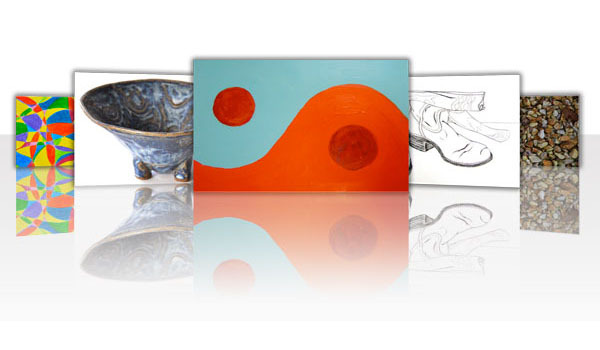 Establish an organized and visually appealing art environment. Prepare for any eventuality. If a child shows particular interest in a medium or discipline, the child must have the proper materials and the freedom to investigate.